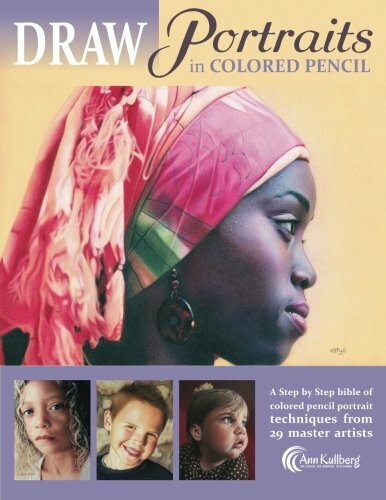 This is an invaluable resource for portrait artists who use coloured pencils. Collected within are 11 full step-by-step demonstrations that show you how a portrait is drawn from start to the end. The instructions are clear and the tips are really insightful. The different brands of coloured pencils and the specific colours are all mentioned. In addition to the full demonstrations, there are 18 mini tutorials on specific features, such as the eyes, hair, skin and more. There's a total of 192 pages in this paperback edition. The artworks that are featured are really beautiful and to have them as examples for tutorials is amazing. You can think of the portraits as intimidating or you can think of it as an opportunity to learn from these master artists. This is an inspiring and detailed instructional book. Highly recommended.